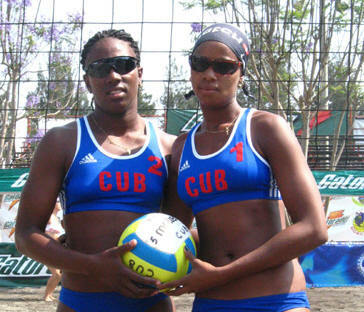 BOCA CHICA, April 12, 2009.- Cubans Nirian Sinal and Kirenia Ballard won their third crown in as many tries in the 2009 Norceca Beach Volleyball Circuit by winning the Boca Chica Tournament on Sunday afternoon. 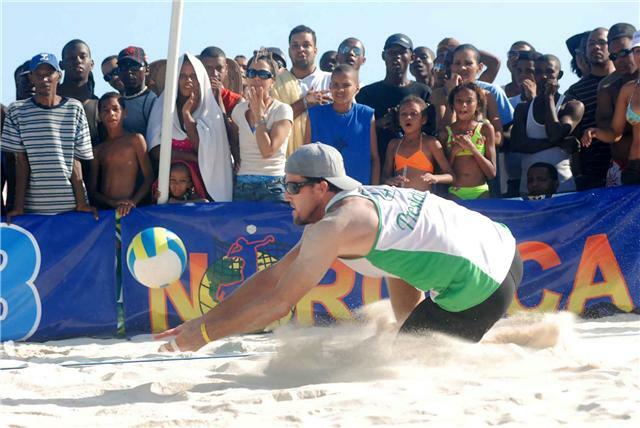 BOCA CHICA, Dominican Republic, April 11, 2009.- Americans Jason Wight and Michael Bruning and Cubans Sergio Gonzalez and Karell Pe�a advanced to the men�s semi finals of the Boca Chica Beach Volleyball Tournament, the third stop of the 2009 Norceca Circuit. 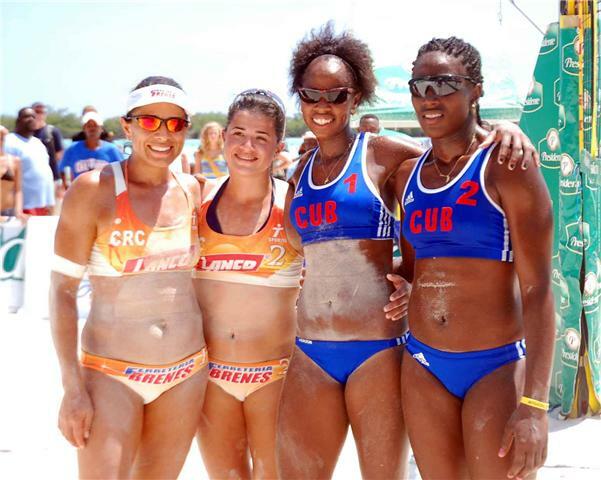 BOCA CHICA, Dominican Republic, April 11, 2009.- Cubans Nirian Sinal and Kirenia Ballard and Costa Ricans Natalia Alfaro and Ingrid Morales are the first and second women�s semi finalists of the Boca Chica Beach Volleyball Tournament, the third stop of the 2009 Norceca Circuit. BOCA CHICA, Dominican Republic, April 10, 2009.- The USA women�s team of Jenelle Koester and Angela Knoff won their three matches on Friday and advanced to the main draw of the Presidente�s Boca Chica Beach Volleyball Tournament, the third leg of the 2009 Norceca Circuit. BOCA CHICA, Dominican Republic, April 9, 2009.- Cubans Nirian Sinal and Kirenia Ballar go for a third consecutive crown in the 2009 Norceca Beach Volleyball Circuit as the Dominican Republi Tournament in Boca Chica sponsored by Cerveza Presidente kicks off on Friday.